The New Smart Suitcase is Here: Zipperless and with GPS Tracking. There’s been plenty of talk, and even some action, about equipping suitcases with GPS tracking devices to help people keep tabs on their bags and prevent lost luggage. Trunkster is the latest and greatest in smart suitcase technology. The bag doesn’t have zippers, rather the top slides open like the old roll-top desks, and the bag weighs itself, so travelers avoid overweight baggage fees at the airport. What most globetrotters will love most, the bag won’t get lost. Trunkster has an optional GPS tracking system. The bag is also equipped with a battery-powered USB charger. 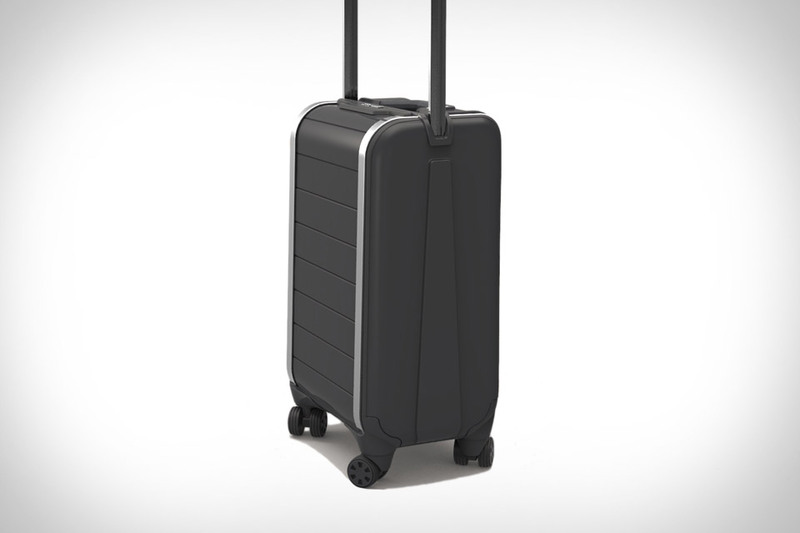 “The last major update to the core design of luggage was wheels. And while many cool new features have been introduced since then, most have failed to improve the actual experience of using luggage,” said Trunkster founders Jesse Potash and Gaston Blanchet. People interested in the new suitcase can pre-order the luggage on Kickstarter. Carry on bags are $245 and the larger, checked bag size will set buyers back $295. The pieces also come with a full five-year warranty against damage.